BUDAPEST - JANUARY 06: Drive on a hungarian highway on January 06, 2014 in Budapest, Hungary. 4k00:35Night Kiev, Ukraine. UEFA Champions League. The final. From the airport to the city. From Borispol Airport to Kiev. The camera is fixed to the car. Time-lapse from the car. hd00:13Kiev, Ukraine 30.07.2015. Suspended road bridge. Cars drive on the bridge. 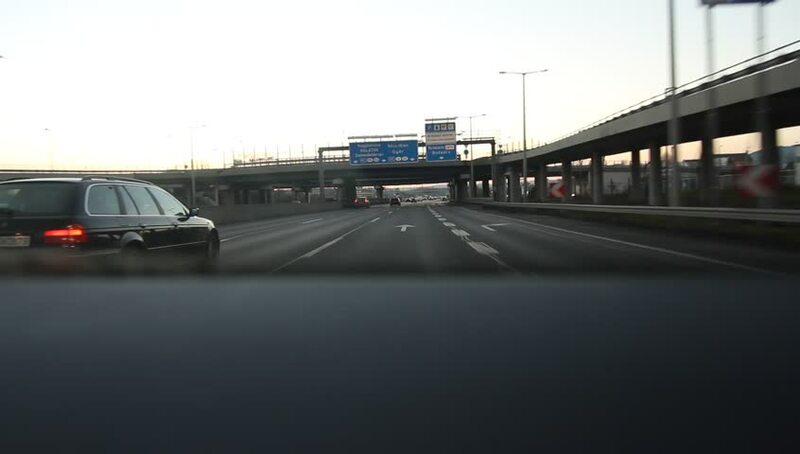 4k00:25MOTORWAY A99, GERMANY - FEBRUARY 10, 2018: Driving slowly on a German Autobahn (motorway). Winter vacation season on the A93 is famous for slugish traffic and huge traffic jams.